£10,000 FREE Church Boiler Giveaway! The Church Heating Specialists are extremely proud to announce the launch of our first ever competition, and probably the first competition like it in our industry! You’ve probably heard the rumours, and we can confirm it’s not a hoax, we really are giving away a FREE church heating boiler with installation worth £10,000. This staggering prize is a thank you from all of us here at HeatinGlobal, to show our appreciation to our loyal customers, who have contributed towards the growth of our business over the past 15 years. We feel as though we have a real corporate social responsibility towards helping the community, and with so many churches being forced to close every year, if we can help just one church, we’ll be making a big difference. And who, know, we could make this a yearly contest. 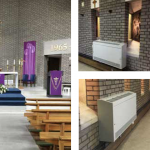 Our church heating systems are the best and most cost efficient in the business, and now is your chance to get your hands on one, for FREE! Our professional fitting services is included, and our nationally renowned heating engineers will treat you as well as we do with our paying customers. 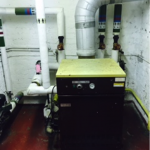 We use only the very best components, with industry standard boilers that will run trouble free for years and years if properly maintained. In order to be in with a chance of winning this amazing competition, all you need to do is tell us why your church deserves a free boiler in 500 words, pop over your contact details too, and your application will be considered. The competition entry form can be found here, so don’t delay, enter today! 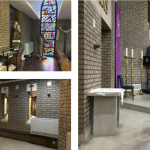 The church that we rent a office in has lost its heating and we have a variety of differnt people from retierd people and children use the hall. Our over 50s group runs every week and they do there keep fit in the vestry which the boiler in there is not working at all. We really need a gas boiler as our service users are running there groups in the freezing cold and its only just going to get colder.